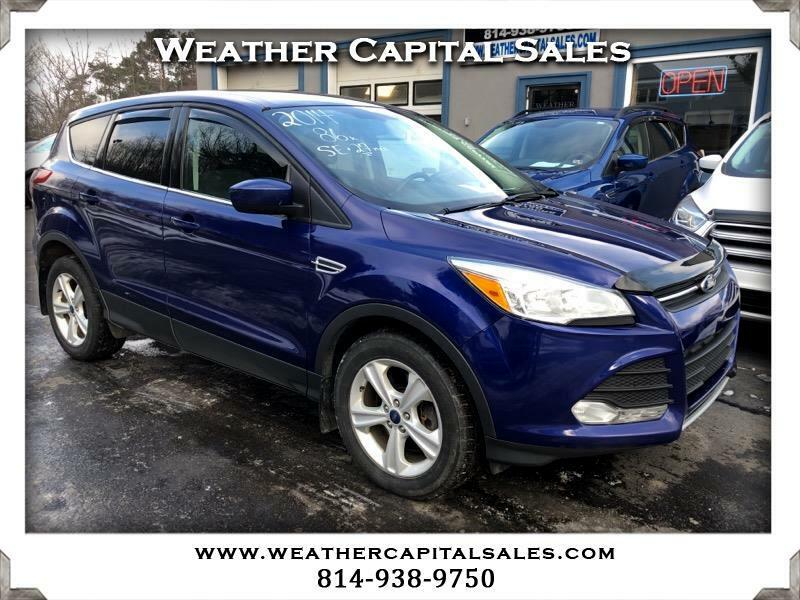 A 2014 FORD ESCAPE SE 4-WHEEL-DRIVE FOR ONLY $12,495.00! THIS ESCAPE IS AN ADULT-OWNED, LOCAL TRADE. BOTH THE INTERIOR AND EXTERIOR ARE IN EXCELLENT CONDITION. WE HAVE FULLY SERVICED AND INSPECTED THIS ESCAPE AND HAVE INCLUDED A GENEROUS WARRANTY AT NO ADDITIONAL CHARGE. EQUIPMENT INCLUDES A BACKUP CAMERA, FORD SYNC SYSTEM, BLUETOOTH, SIRIUS RADIO CAPABILITY, ALUMINUM WHEELS, DRIVES SIDE POWER SEAT, AND MUCH MORE. THIS ESCAPE RUNS AND DRIVES GREAT. THIS IS A VERY NICE VEHICLE. CALL US TODAY.